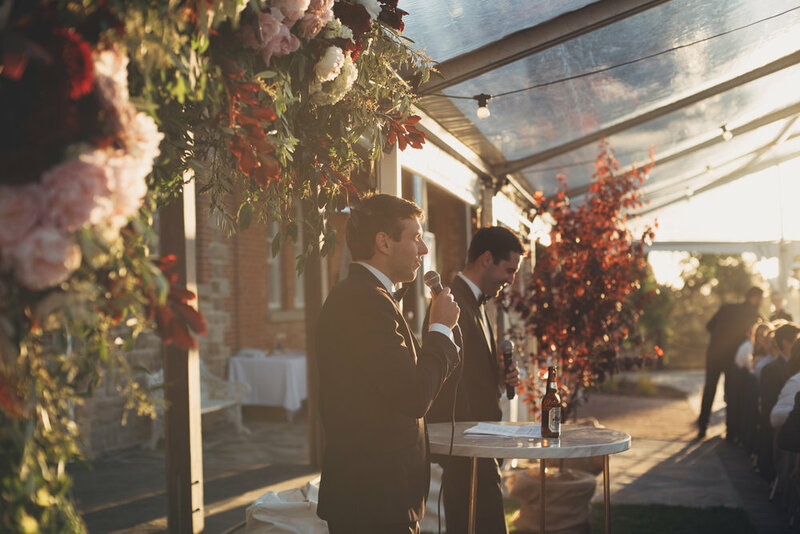 Enjoy exclusive use of the historic Marble Hill property for the weekend of your choice, by having your ceremony against the edge wall and then moving inside The Stables for a cocktail party of 80 people, or a seated affair of up to 65 people with a dance floor under the stars. The breathtaking property is also the perfect backdrop for bridal party photos while your guests have drinks and canapés. All furniture, lighting, printing, floral arrangements and hire items are priced once styling mood boards have been agreed on, as we pride ourselves on creating truly unique events which are always different from the next. These items are selected based on your style and budget. We also have drinks packages with Marble Hill wines to select from, but leave the catering up to you dependent on your style. We have plenty of favourite catering companies to recommend if you don’t have a preferred. Use of 3 private bathrooms inside the stables, as well as the larger heritage listed male and female bathrooms.